Julia Reda was elected to the European Parliament for the Pirate Party in 2014. She is a Vice-Chair of her parliamentary group, the Greens/European Free Alliance. She is a member of the European Parliament’s Committee on Legal Affairs (JURI), a substitute in the Internal Market & Consumer Protection (IMCO) and Petition (PETI) Committees as well as a co-founder of the Digital Agenda intergroup. Her legislative focus is on copyright and internet policy issues. She is responsible for the Parliament’s evaluation of 2001’s Copyright Directive ahead of an upcoming reform. 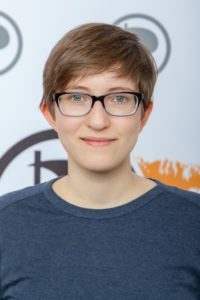 Born in Bonn in 1986, Julia Reda was a member of the German Social Democrats for six years before joining the Piratenpartei in 2009 amidst a debate on internet blocking. She was chairwoman of the party’s youth wing from 2010 to 2012. She is founding chairperson of the Young Pirates of Europe.